Action point: Make sure you express your feelings of appreciation and affection to the people you love. It’s good for your heart, and for theirs. You have probably had your blood pressure, cholesterol levels, and triglycerides checked as part of your preventive medical exams. You may have been given recommendations about keeping trans fats out of your diet, drinking a glass of red wine, exercising regularly, and maintaining a healthy weight. And you may be taking antioxidants, vitamin D, fish oil, or medications to keep your heart healthy. However, there’s a vital part of a heart-healthy lifestyle that doesn’t get enough attention: love. You see, there’s a connection between love and the heart that goes beyond Valentine’s Day cards and Shakespearean sonnets. In several different ways, love in fact helps prevent heart disease. Cardiovascular research shows that experiencing feelings of love, appreciation, and gratitude have immediate and long-term effects on how your heart functions. These effects counteract the damaging effects of stress and negative emotion on your heart and blood vessels. THE DETAILS: It’s not difficult to demonstrate how love and the heart interact. Recently, I saw a patient, Jenny, who was referred to me for biofeedback to help her reduce high blood pressure. I hooked Jenny up to a sensitive pulse-rate monitor that enabled her to see how her heart rate was influenced by her emotions. I gave her a couple of stress challenges: Count backwards by from 500 by sevens and then tell me about a recent stressful event. With each stressor, her heart rate soared and her heart rhythm became disorganized. This is normal. Stress disrupts heart rhythms. I asked her to think of something that made her angry. Her heart rate spiked again. Over time, these processes contribute to the deposition of atherosclerotic plaque in blood vessel walls, and to heart rhythm abnormalities. And this greatly increases the risk of heart attack and stroke. Oxytocin is most well-known for stimulating contractions of the uterus during childbirth and the release of milk during breastfeeding. It promotes bonding between mothers and their infants. In both women and men, oxytocin not only facilitates bonding, it also has powerful cardioprotective effects. It decreases the level of stress hormones, primarily cortisol, and lowers blood pressure in response to distressing events. In addition to helping prevent heart disease, it actually helps heal damage to the heart and blood vessels by reducing cell death and inflammation. • Make love a priority. Take time to appreciate the people you care about, and express your love often. Both you and the ones you love will benefit. • Cultivate a loving, compassionate attitude toward yourself. If you tend to be hard on yourself, remember that everyone is fallible, including you. • Treat yourself with loving kindness. Too often we neglect our own needs in the service of doing our job or caring for others. 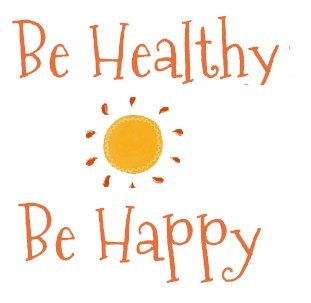 You can care for yourself with love by giving your body the healthy food, exercise, sunshine, and sleep it needs. • If you tend to be quick to anger or you hold on to anger, use breathing exercises to reduce your emotional reactivity. Try to look at things from a more empathic and compassionate perspective. • Reach out. Hug your friends and family, cuddle with your beloved, and stroke your dog or cat. Giving or receiving a massage is another wonderful way to experience the physical touch we need to keep our hearts and souls healthy. Jeffrey Rossman, PhD, is a Rodale.com advisor and director of life management at Canyon Ranch in Lenox, MA. His column, “Mind-Body-Mood Advisor,” appears weekly on Rodale.com.